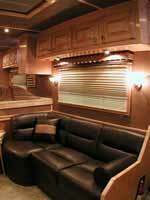 Outlaw Conversions was founded in July of 1996 in Stephenville, Texas. 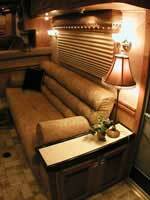 Their primary business line is the manufacturing of custom living quarters for horse trailers. 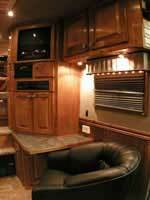 Outlaw Conversions builds the premier custom interior in the industry. They not only provide a high quality product, but they also place great emphasis on after-the-sale customer service. Outlaw Conversions offers a 3-year all-inclusive warranty with 4500 service centers nationwide. 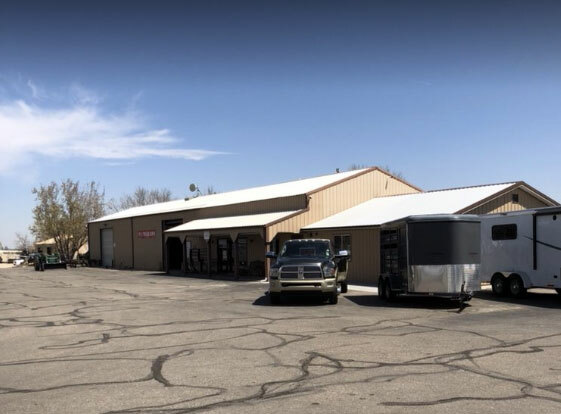 Through a partnership with 4-Star Trailers and Outlaw Conversions we have brought together the leaders of the horse trailer and conversion industry to provide our customers with the best product on the market! 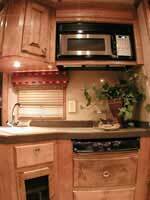 Call and talk with our sales staff to quote out the next custom interior. 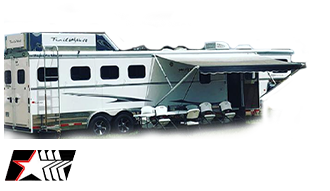 Step into an Outlaw Conversion and experience premier quality!